Anyone facing a disabling condition must adjust to the constant rotation of doctors’ visits needed to monitor prescribed medication and to address symptoms and functional limitations. The impact of a disability is pervasive, often overwhelming, and these medical consultations reflect efforts by sufferers to find some relief. 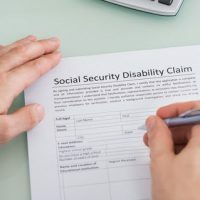 When these individuals seek approval for disability benefits under Social Security Disability Insurance (SSDI), much of the decision is predicated on the observations and diagnoses of these physicians and other health professionals. This system for SSDI claim evaluations makes sense considering the pivotal role doctors play when someone has a significant physical and/or mental health issue. However, the importance of this information in SSDI claims is about to change. The Social Security Administration (SSA) just announced new rules on the evaluation of medical evidence in SSDI claims that will eliminate the requirement that greater consideration be given to the opinions of a person’s treating physician. The new rule applies to SSDI claims filed on or after March 27, 2017. This new regulation has the potential to significantly affect whether some are approved for benefits. Consequently, a discussion of the previous method of considering evidence from a claimant’s treating physicians, as well as the new approach the SSA is taking, will follow below. As the new rule is limited to new claims, the previous regulation will still apply to pending SSDI applications, and is worth a review. Until the change, medical evidence from a doctor the SSA considered a “treating physician” was typically given more weight in the final determination of disability. This evidence was especially important at the administrative law judge (ALJ) appeal stage, and often had a substantial effect on the outcome. A treating physician is a doctor an SSDI claimant saw on a consistent basis so that an ongoing history of treatment is formed. Thus, a doctor a claimant saw once or twice would not be viewed as a treating physician. Greater weight was accorded to the opinions of treating physicians because the SSA believed these doctors were in the best position to evaluate a claimant’s prognosis and functional limitations. However, ALJs do not always put greater emphasis on the evidence from a treating physician, and sometimes completely disregard the information if the ALJ thinks it conflicts with the opinions of SSA medical consultant or diagnostic testing. Note that strong grounds for a successful appeal of an ALJ’s rejection of a disability claim exists if the judge does not offer a good reason for rejecting evidence from a treating physician. if the medical source is a specialist. The award of disability benefits can make a huge difference in a person’s life, and filing a claim should be approached with considerable care and knowledge. A disability insurance attorney brings the necessary background to give your claim the best possibility of success. Farrell Disability Law helps disabled clients throughout Florida and South Georgia file claims and/or appeal denials of benefits, and can assist you with getting the money you need and deserve. Contact the office today for a free consultation.